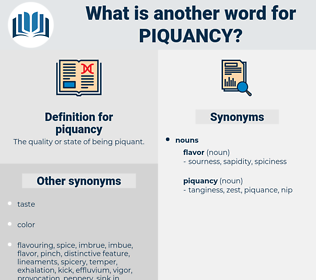 What is another word for piquancy? 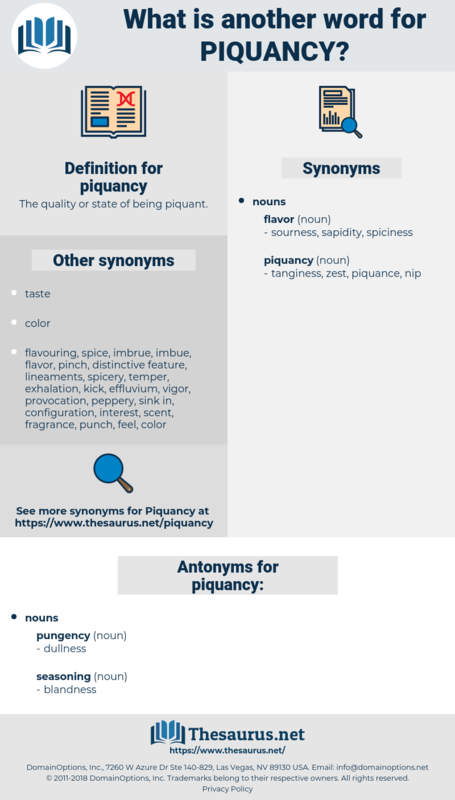 The quality or state of being piquant. It isn't necessary to have my remarks followed intelligently, but it always adds piquancy to the situation when they are. It had to be at an angle suggestive of piquancy, and it had to contain at least the suspicion of a dimple.